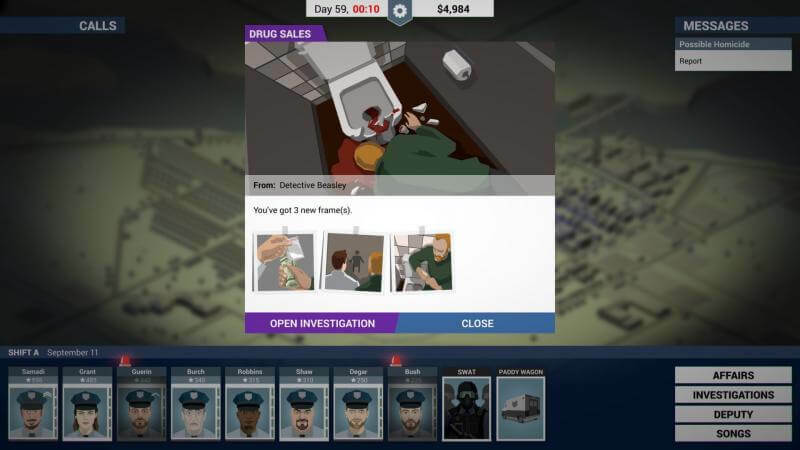 This Is the Police – The real-life simulation gameplay gives players a compelling experience. 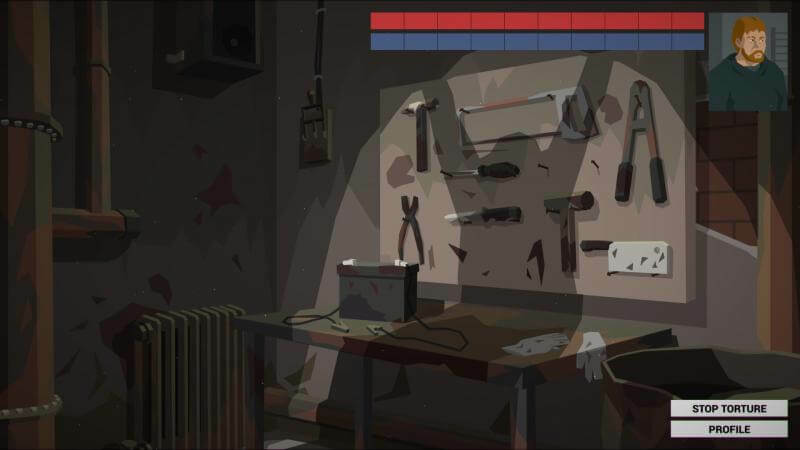 In addition to futuristic fantasy games, fighting games or engaging gun battles, an intellectually-inclined game still has its place in the market. You will see your life here is extremely sharp. Each decision you make will seriously affect the future, and the appeal of this game is also there. Players will enjoy many endings of this game, depending on every decision in life. Maybe everything will be settled or come to a standstill. No matter what the outcome, you will be excited for the next time you play. 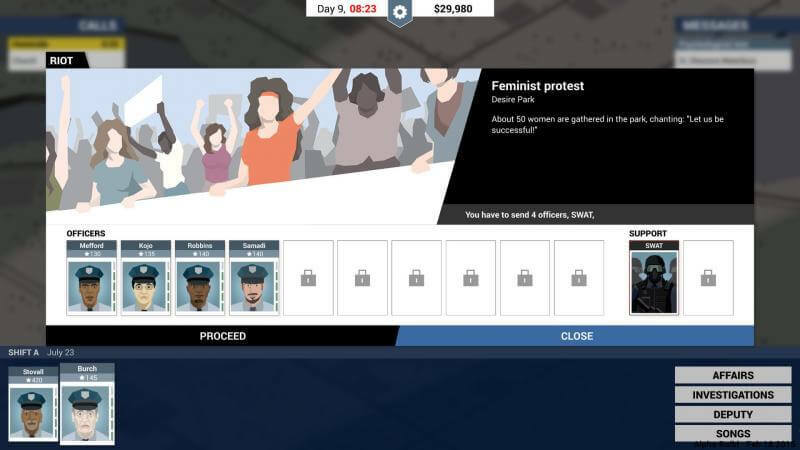 This Is the Police is a THQ Nordic product and was released by Weappy Studio in August 2016. Two years later, the game still holds its own when the player of this genre continues to be interested in it. Because its story is extremely profound and contains the mystery of real society, making adults feel the complexity of it. The story of This Is the Police revolves around veteran police chief Jack Boyd, the most accomplished police chief of the Freeburg Police Department. But only a few months left he had to retire and needed a great deal of money. Getting $ 500,000 in 180 days is almost one of the most impossible. But you have to get through it by hunting down criminals and getting rewarded constantly for a relaxed retirement. Or if you fail and are caught by criminals, life will be like hell. Everything depends on you personally with the decisions made in each situation of the game. Like the games of the same genre, players will be introduced to a story set up in the context. After that, everything will work out regularly, but the player will be led gradually into situations that require discerning decisions. 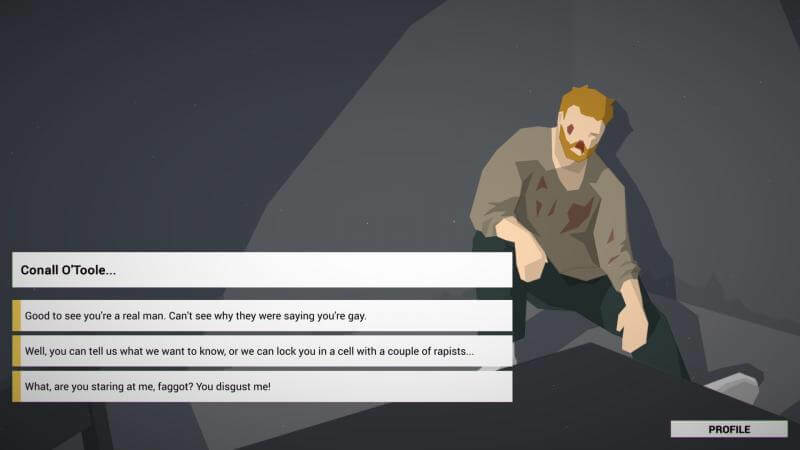 Each time you encounter a case, there is a text that describes what you have encountered, and the player will have the choice to solve it. The choice will be clearly displayed below the description of the situation. The most difficult situations in the police industry will be apparent to you to solve. Cases of corruption, drug trafficking, and even political cases all have profound implications for your life. Pahri players are awake if they do not want to face more and more difficulties, cannot solve. But in addition to dangerous situations, daily tasks are also difficult to resolve, such as addressing emergency calls, managing your employees, fighting for more budgets, etc. Mayor, the Mafia, clerics, unions can help you with those important ones. In general, all the troubles will always come to this talented police chief; you have to play him and release all of it. Jack Boyd’s retirement life is up to you. 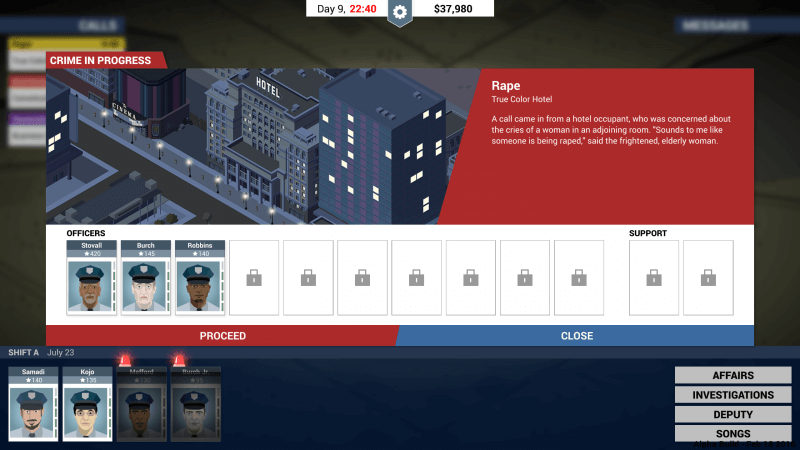 As a detective game, so creating an image is very important. Images must be detailed enough so that players can judge different situations. Weappy Studio did an outstanding job of bringing in a good graphics quality to her son. All pictures are drawn in classic retro style, polished with dark colors. This gives the player a very different experience.